Embrace the painful, as well as the positive aspects, of life. Unclench your heart and mind. Dare to taste defeat. Learning to relate to pleasure and joy–and fear and pain–helps reveal the richness of your own life — and all life. 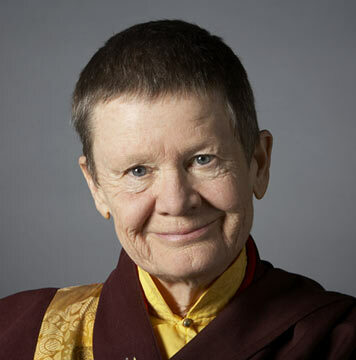 While browsing a list of Pema Chodron’s books on Amazon I was drawn to this particular title for another reason: ‘Starting where I am’ each time I swim has been the key to (i) unlinking ‘how fast I swim’ from ‘how I feel about myself;’ and (ii) embracing—without ever being complacent about—times that have unavoidably gotten slower as I age. In my most recent blog Permission to Swim Slowly I wrote of the liberating effect of swimming slowly as an intention. 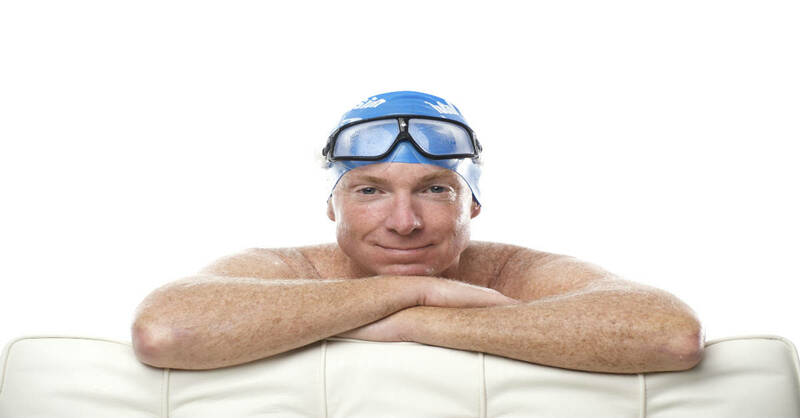 The mindset of starting where you are goes beyond that by banishing labels such as ‘fast’ and ‘slow’ or ‘good’ and ‘bad’ that we (or others) apply to our swimming, too often with negative affect. Start practices or sets by determining ‘where you are’ in that moment. In practices or sets, in which I’ll use time as a measure, I use my first swim to establish the baseline. Let’s say that swim is a 100-yard freestyle in a time of 1min30sec, taking 13SPL. Any improvement on that — regardless of how I may have swum last week, last month — or 30 years ago–is a success. And I may define ‘success’ as swimming the same time, yet feeling easier, or needing one less stroke. Plan sets based on ‘non-standard’ swm repeats. I regularly plan practice tasks or sets that are ‘non-standard’ — i.e. not appearing in any meet format. As I relate in this Forum post describing one of my practices when I begin a set without a sense–from having done it 100s of times before– of what my time (or any other data point, like stroke count) SHOULD BE, I’m free to focus solely on what my time IS on my first repeat. I can then experience flow from applying mindfulness — and a measure of cunning — to improving it on subsequent repeats. An example of this is the ‘Modified Medley’ with which I’ve recently begun each practice. This is a continuous swim where I alternate 25 freestyle, 25 backstroke and 25 breaststroke until I’ve completed 400 yards (I start and finish with 25 freestyle.) The first time I did it, two weeks ago, my time was 7:20. There was no way for me to label that ‘fast’ or ‘slow’ since I’d never previously timed myself for it. But once I did swim it, that became a standard against which to gauge subsequent tries. Since my first attempt I’ve improved to 7:11, mainly because doing it regularly helps me become aware of small opportunities to improve efficiency in each of the three strokes. I’ll continue using that as my tuneup task until I feel I’ve exploited all my improvement potential for that particular combination of strokes and distance. Its greatest value is in giving purpose and focus to my first laps. Plan sets that reward focus more than speed. Using a Tempo Trainer, swim a series of 50s or 100s (or any distance) in any stroke (or combination of strokes). Time all repeats. Add .03 to your tempo after each repeat. How many times can you do that while maintaining the same time? If you can only maintain your time for a few repeats, try adding only .02 or .01 to tempo instead. In a set such as this–combining tempo and time–success and satisfaction come from increasing efficiency, not speed, during the set. In order to slow tempo while maintaining time, you must increase efficiency on each subsequent repeat. And this requires swimming with more laser-like attention as the set continues. Any set that rewards and trains focus, is as valuable outside the pool as in it. Start Where You Are: Isn’t it great when the ‘rules’ for swimming well apply also to living well. Great advice – and to add to it, what I have found is that after an hour in the weight room and then a swim i find my SPL at 20 and ~ 1:04 for 50; on occasion, to feel better about it all, I’ll swim first and find my SPL at 17 and ~ 0:50 for 50 and then the weight room. And I’m always giving myself permission to swim slowly – Thanks Terry! Let me express my gratitude to you and to your teaching! since 1997 when I discovered your web site I enjoyed following your blog. Today I am always swiming particularly with my friend (from 20 to 67 as I am) in open water of our wounderfull Lake of Geneva and I popularised your teaching and your web site here around . I do like your reference to Yoga and Budism because I noticed also how swiming is close to yoga practices. I smiled when I read this blog. A friend of mine just sent me the book “you are here” by Thich Nhat Hanh, a Buddhist teacher and Zen monk. As I was reading this book I thought about my swimming. Thich Nhat Hanh talks about breathing, about being non-violent with your breathing, being tender with your breathing, and explains that the way to maintain your presence with the here and now is through mindfulness of the breath. And he tells us to stop struggling. When I finished the book I went to the pool and decided I would focus on the mindfulness of my breath. When I swam, I turned my head gently, and took a gentle, delicate in-breath, and then a gentle out-breath. I didn’t think about anything else–just my gentle breathing. I swam so beautifully! After ten or fifteen minutes of swimming gracefully, I decided to see what would happen if I used the tempo trainer (which I have just started using since the workshop in Greensboro last month). I set it at 1.25, which is fast for me, and amazingly, I swam an easy 500 yards. I couldn’t believe it. Before this, I was thrilled to swim 100 yards at this speed. If you haven’t read this wonderful book, I encourage you to read it. The wisdom in this book reinforces for me why I love total immersion swimming. Swimming is my meditation, my practice! When I swim I am living in the moment, my mind and body are one. When I swim I am truly alive and it brings me joy and happiness. I can’t thank you enough for the gift you have given me by teaching me how to swim.